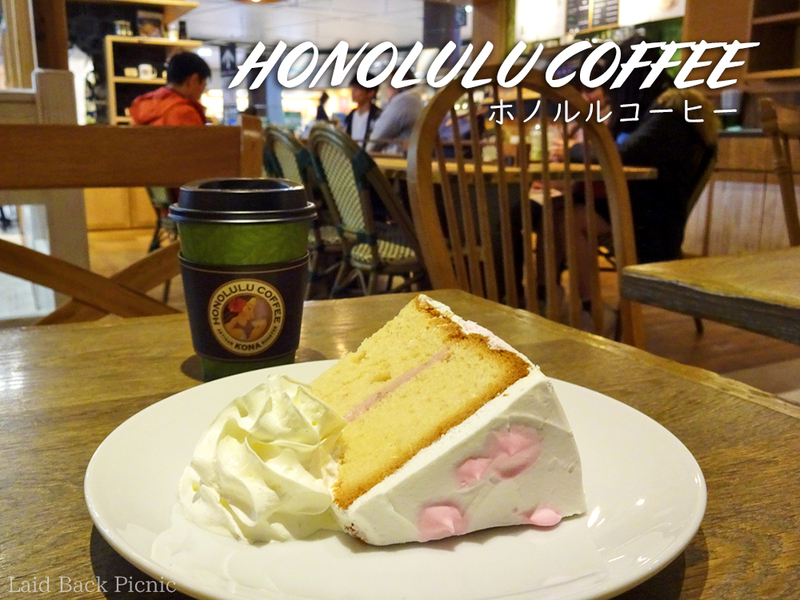 You can also enjoy Hawaiian coffee in Japan. 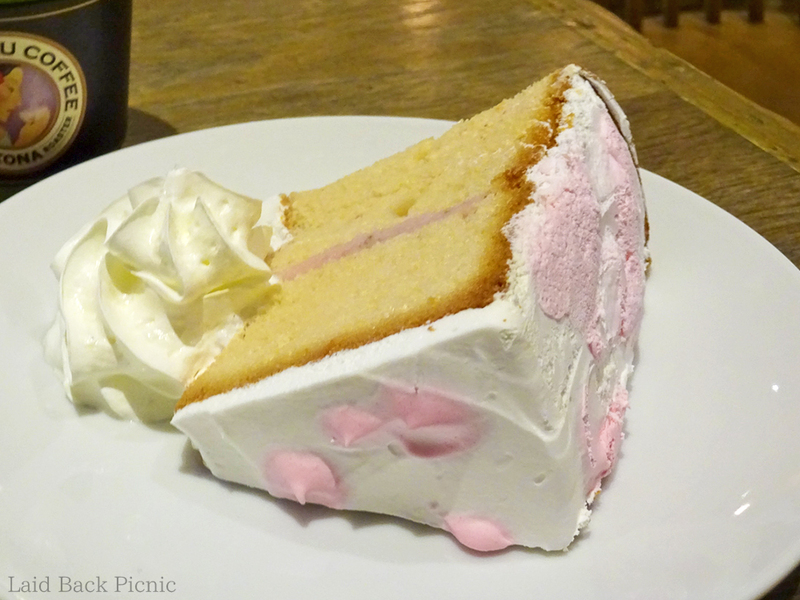 When I visited in spring I found a SAKURA chiffon cake. Do you know if this cake is sold in Hawaii? This is SAKURA chiffon cake. A white bean paste with cherry leaves in a chiffon cake is sandwiched.